We treat our patients like they are our own. We stay up-to-date in the veterinary industry to ensure the best treatment possible. We look forward to nurturing the human-animal bond between you and your pet. We want to keep your pet healthy as long as possible, and veterinary dental care is an important factor for the longevity of your pet. Preventative health care maintained on a regular basis will allow our veterinarians the opportunity to get to know your pet personally. Ox Bottom Animal Hospital offers daily baths as well as medicated baths for pets with skin conditions. 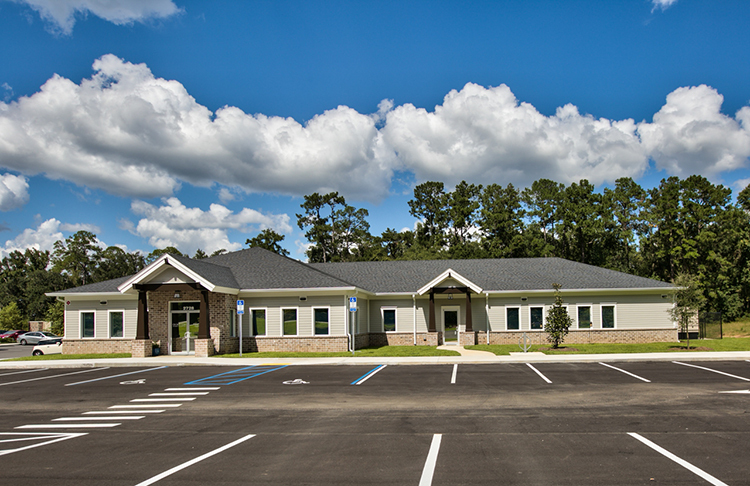 Ox Bottom Animal Hospital is a locally owned, full service companion animal hospital that provides quality veterinary service to Tallahassee, Florida and the surrounding areas. Our friendly staff and experienced doctors specialize in preventative care, dental surgery, soft tissue surgery, internal medicine, dermatology, and behavior issues. It is our goal to provide the highest quality most up-to-date care for your companion friends so that they can live a carefree, pain free, problem free life. In addition to treating your pet with the best medical practices that veterinary medicine has to offer, it is of great importance to us that your pets experience the least amount of stress possible when they come to Ox Bottom Animal Hospital. We consider this aspect of veterinary medicine to be so important that we have taken extra steps to become Fear Free Certified, Feline Friendly Certified, and American Animal Hospital Association (AAHA) accredited. Come see us at Ox Bottom Animal Hospital today where we will treat you as part of our family and provide the best pet care available with the least amount of stress for you and your pet. At Ox Bottom Animal Hospital, the emotional health of your pet is just as important to us as physical health. For this reason, our veterinarians and staff have completed training and worked together as a team to achieve Fear Free Certification. It is our objective to reduce your pet’s fear, anxiety, and stress when visiting our practice. Feline Friendly Certification ensures that cat owners and their cats will experience a calming environment with minimal stress. Our veterinary staff is trained to approach and handle cats in a gentle, empathetic, and caring manner. Rest assured that your cat will be given exceptional care and attention through all phases of the visit including examinations, procedures, and/or hospitalization.